I’m desperately wearing brights and florals in a vain attempt to bring out the sun… so far it’s not worked. But there’s something about wearing brights that lifts your mood, despite the cold and the wind and the rain. I still love my mint loafers even though they were “the” colour of 2012 (was it really that long ago?) – they just go so well with my pink Joules chinos. 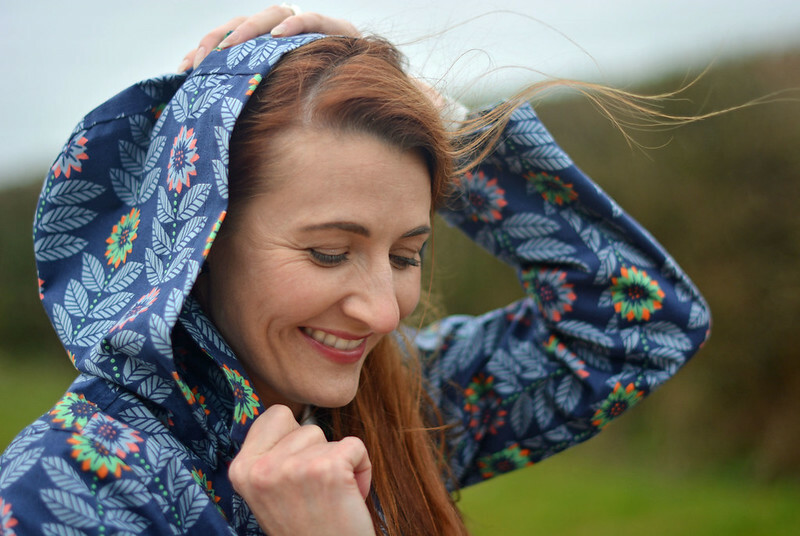 The AW13 Seasalt raincoat is also still a big hit with me and it’s the perfect jacket to grab when I’m on my way out the door at this time of year. The colours may not be reflecting exactly what we’re getting weather-wise but it’s nice to be reflecting the season at least. Expect more and more bright colours as the weeks go on…! 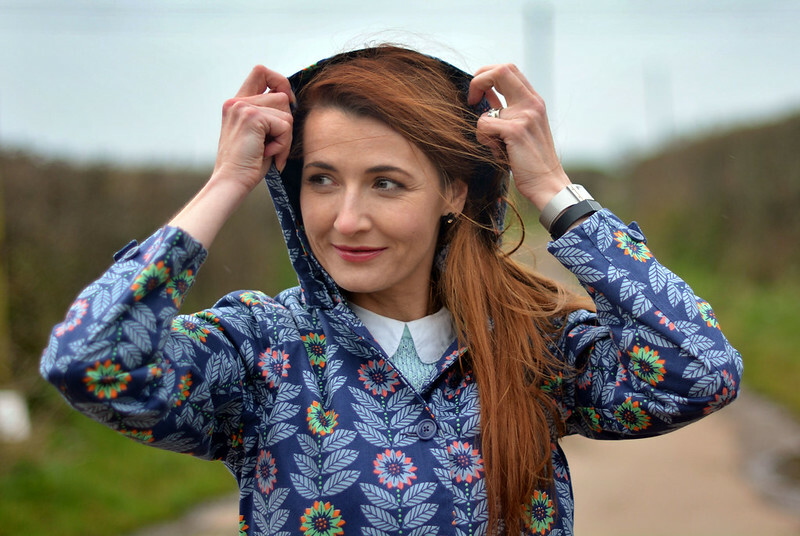 Are you consciously adapting your wardrobe and your choices to the seasons yet? What colours are going to be your go-to colours this spring do you think? P.S. Like this post? 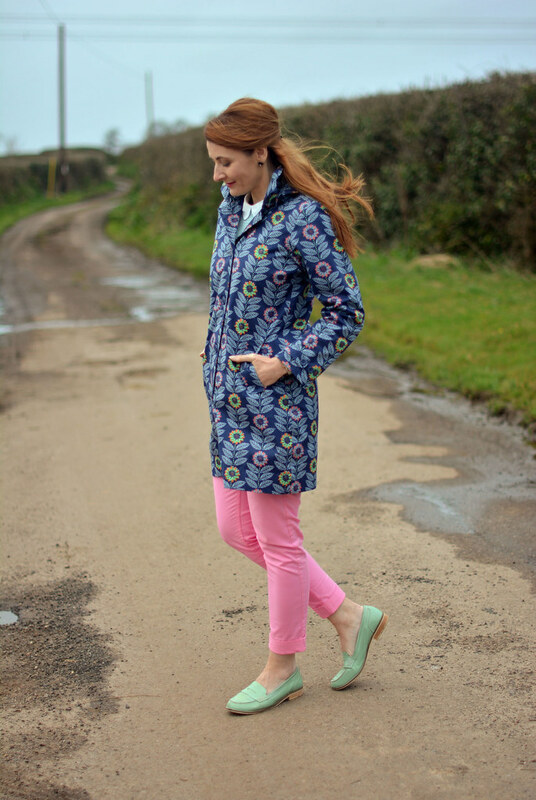 You might also enjoy 7 Tips For Photographing Outfits In The Rain! Next Post Quick Opinion Poll | Hair and Make Up Video Tutorials for the Over 40s? The post you have shared is doubtlessly wonderful. I was searching for this blog post for long ago. 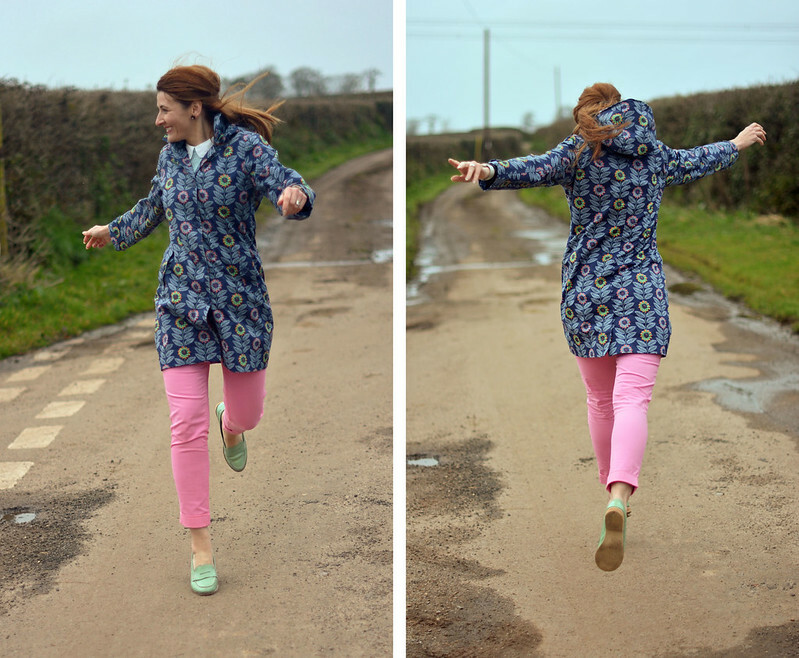 Womens Rain Coat is a must-have for women’s in spring season. If you are also looking to buy one, you can browse through the internet as numerous sites are operating over the internet today that deals in women’s rain-wear. What a gorgeous rain coat. I try not to pay attention to the "it" color of the moment and just wear what I love. This way, it will feel good no matter what color is in at the moment. Brave girl, making outfit photos in the cold with bare legs and summer clothes. Thank you, it brings a bit of spring. My colours are going to be white/blue/yellow. The shops are filled with it and I bought a lot of these colours last year too. But I long for bright red. Nowhere to be found. Nowhere. I always do that, Greetje (long to wear/buy a colour that's not on trend and can't be found in the shops)!! Very frustrating. It wasn't so cold that I couldn't do the bare ankle thing – I'm usually okay feet-wise… it's gloves I always need!! I have gone overboard with it as well. Even bought a white/yellow/blue leather shopper in Italy. On my blog Sunday late afternoon. I adore the colors in this post and that jacket, swoon! Well done! Those shoes! Awesome, I love mint. Great play with colors here my friend! Thank you Jess – mint is such a good colour for redheads don't you think…?!! Looking so pretty and springy! Adorable, Catherine! Those shoes still look new. I can't believe they are 4 years old! Hi Catherine, as we went straight in to Autumn here I'm still in my winterclobber and I'm starting to hate all of it! Try to wear lighter things but they don't yet work because a) I get too chilly and b) attract too many stains from all mud that s litterally everywere here ( and i live in a big city, go reckon) I do however have a pair of mint coloured suède broques and not caring one bit that they are so 2012 �� looking forward to wearing them again! Have a good Easter! i've already eaten all the chocolate eggs! What a cute pattern for a raincoat. We're still waiting for the last of our snow to leave. Thanks Patti – and YES please do!!!!! Thanks Rubi – it's an oldie but a goodie!